Why would I need self storage in Fort Mill, SC? There are a variety of reasons why you might need self-storage in Fort Mill, SC. How much is a storage unit in Fort Mill, SC? The cheapest storage unit in Fort Mill, SC is $24.00 per month. What size storage units do you have available in Fort Mill, SC? In Fort Mill, SC we have sizes that range from 3'x8' to 20'x30' to suit your storage needs. How much is it for a 3'x8' storage unit in Fort Mill, SC? The cheapest 3'x8' storage unit in Fort Mill, SC is $30.00 per month. Fort Mill is a midsize town in northern South Carolina, located about 15 miles from the major city of Charlotte. It has grown rapidly in recent decades as it emerges as a popular commuter suburb, with a convenient location that makes it easy to travel to Charlotte for both work and play. Nearly half of the households in Fort Mill are made up of young families, many of which are attracted by its plentiful amenities, top-rated schools, and excellent parks and recreation facilities. Fort Mill was originally home to the Catawba Indians and was later settled by European settlers in the mid-1700s. The city has always been a center of transportation, drawing people and businesses alike with its excellent location and transit. Fort Mill Manufacturing Co. was established in 1887 and helped grow the city into a major textile manufacturing town. While Fort Mill started out as an agricultural area and quickly moved to a manufacturing town, today it's mostly urban, with just 1 percent of the town considered rural. Fort Mill offers a comfortable community with an affordable cost of living, low crime rates and a well-rated educational system. Numerous medical facilities put health care within easy reach, and everyday conveniences like grocery stores, pharmacies, coffee shops and fitness centers are spread throughout the town. 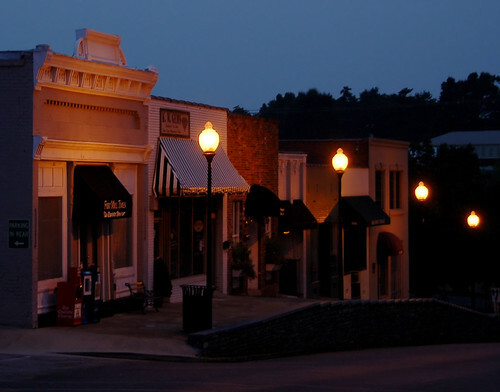 Fort Mill's historical downtown district hosts a number of retail shops, many of which are locally-owned. It's also home to two of the city's major publications, as well as Memorial Park and Confederate Park. Another highlight of Fort Mill is the Anne Springs Close Greenway, a massive nature preserve that encompasses more than 2,000 acres of protected land. There, you can enjoy many scenic views of the preserve's lakes, forests and pastures, as well as hiking, biking and horse trails. Students in Fort Mill will attend schools that are part of the York Country School District - 4. At its elementary, middle and high schools, the district offers a number of programs including athletics, arts and special education classes. There are a few private schools in Fort Mill and the surrounding area, including campuses providing options like art-focused or faith-based education. Utilities: The city provides water and sewer utilities, and you can easily set up your service online. Duke Power is the primary energy provider in the area. Garbage and Recycling: Trash is collected on a weekly basis, with varying collection schedules for different areas of town. There are also two recycling centers in Fort Mill. Transportation: Public transportation in Fort Mill is limited. However, you can travel to several neighboring communities to access transit options that provide transportation throughout the region. Fort Mill's housing prices can vary widely, but are generally rather even with the Greater Charlotte average. There are many newly-constructed communities around the town, offering single-family homes in a variety of sizes and styles. Established neighborhoods also have a lot to offer, including many large homes on generously-sized lots. There are also many apartments and other rental options throughout Fort Mill. Our lowest priced units in Fort Mill, SC average $41.14 per month. 361 people have reserved units in Fort Mill, SC in the past 30 days. There are 7 locations within Fort Mill, SC's city limits. There are 7 locations in Fort Mill, SC that offer AC and Heating features.